We want to acknowledge the women that make our leading men better in every aspect of life. In honour of Women’s Day and our very own motto of making better men, we want to acknowledge the women that make our leading men better in every aspect of life. Here are nine couples who are fitness and lifestyle goals. They love the gym almost as much as they love each other, they’re great inspiration and are certainly worth your follow. 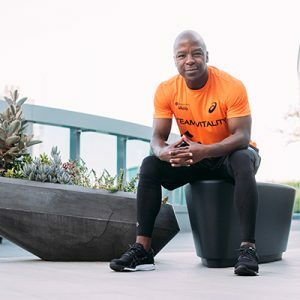 Golden Lions winger Courtnall Skosan and his wife, Semone have an impressive level of teamwork, especially when it comes to staying fit and healthy. Whether it’s alternating baby duty at the gym or a workout at home, Courtnall & Semone have nailed it down to an art form. 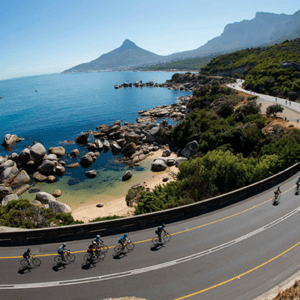 A pair that are always on the move, Steffi and Clint Brink are no strangers to sweat. Regular gym posts and motivation throughout their Instagram shows their love for both each other and for fitness. Why argue with your husband when you can kick him around for a bit? (While he has the proper gloves on, obviously). Take it easy on him, Steff! A couple that makes gains together, remains together. Cleo and Lehasa Moloi walk hand-in-hand while lifting dumbbells on the other side (or so we’ve heard). Their fit relationship is a growing one, with Cleo expecting a baby sometime soon. But the fitness enthusiast will just change her role to “Gym Mom” for now, with Lehasa by her side for every rep along the way. Although he leads the Springboks on the field, Siya Kolisi along with his wife, Rachel, have a front row of their own that they need to train. 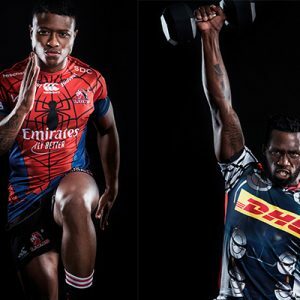 A mix of great teamwork and a healthy routine makes a solid foundation for any family to build on, and the Kolisi duo are a prime example of exactly that. A Miss SA Finalist and a Men’s Health Cover Guy – a match made in photographic heaven. Kallas Eksteen and Yuta Raubenheimer definitely enjoy looking good, which means lots of exercise and lots of photos. They’re two people that do very well in their own lanes but have merged to make a formidable partnership. What happens when there’s chemistry both on and off the screen? This beautiful couple. Alex McGregor and Bjorn Steinbach are both South African actors who are steadily making their way through the film industry. For fitness, travel and behind the scenes of their everyday lives (along with Alex’s love for pizza and doughnuts) be sure to follow them on Instagram. Two forces of fitness submerge to create this fusion of overall positivity and a love for staying in tip-top shape. Fitness enthusiasts Katie Corico and Weston Bouchér (Our July cover guy, in case you forgot) have a healthy relationship that any couple looking for gym motivation will be inspired by. They are great on social media. Both offer their advice and fitness expertise to their followers. Check them out! This partnership built on peace, love and tranquility is a must-follow on Instagram. Both Josh and Ashley are professional Yogis (people who teach yoga, look it up) and their Insta profiles show just that. Combine relaxing stretches and poses with the amazing travel views – you’ve got yourself a really nice feed. So for all your yoga needs, follow them now. The aesthetic is strong with this one. Aisha Baker and Wayne Parnell are the epitome of a stylish couple, owning every look in an Instagram post. Their secret? Unity. Although they both excel as individuals, it is their combined powers that make them a success. Get to following them on their journey together.